World War II is raging. 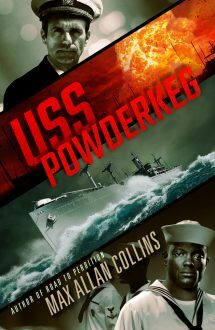 Newly promoted Lt. Peter Maxwell is assigned to a munitions ship with a crew of mostly inexperienced African-American sailors commanded by a racist Captain. The ship is a floating powderkeg that could ignite at any instant as the embattled crew faces typhoons, kamikaze pilots, mutiny and murder. It’s an incredible adventure, inspired by true events, from the boundless imagination of Max Allan Collins, the Mystery Writers of America Grandmaster who gave us the Road to Perdition saga. A gripping, fast-paced tale…a hell of a story.